The opening of Disneyland in Anaheim, California in 1955 opened the door to worldwide recognition of Hagen-Renaker’s craftsmanship. By the Fall of 1955, the first of the Hagen-Renaker “Disney” pieces were released. Walt Disney is quoted as saying, “they made the finest three-dimensional reproductions of the drawings he ever saw”. In the ensuing years, until 1965 or 1966, the “Disney series” was expanded to include most of the leading characters from “ Lady and the Tramp”, ,“Alice in Wonderland”, “Cinderella”, “Bambi”, “Dumbo”, “Pinocchio”, “Snow White”, and “ Mickey Mouse and Friends”. 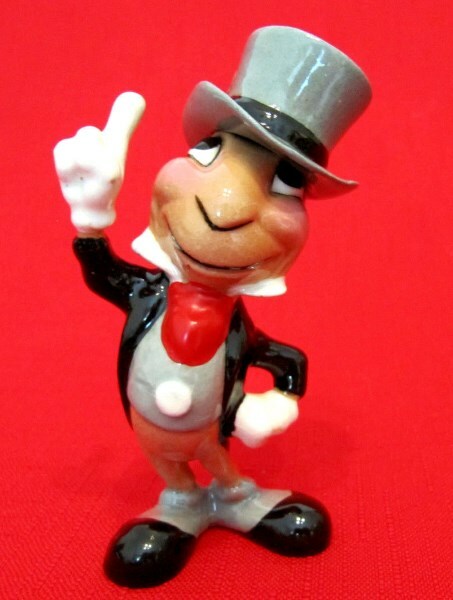 In 1982 a second series of Hagen-Renaker “Disney” pieces were introduced based upon “Fantasia”. Fantasia just happens to be one of John Renaker’s favorites. 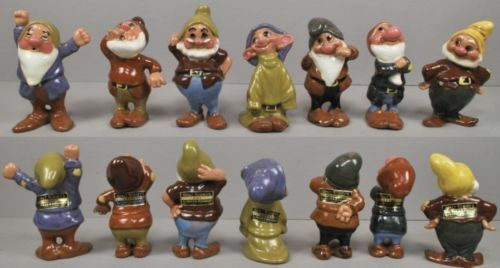 These were the last of the figurines that Hagen- Renaker did specifically for Disney, although for years, their standard Miniatures were featured in the Emporium and other shops at Disneyland. 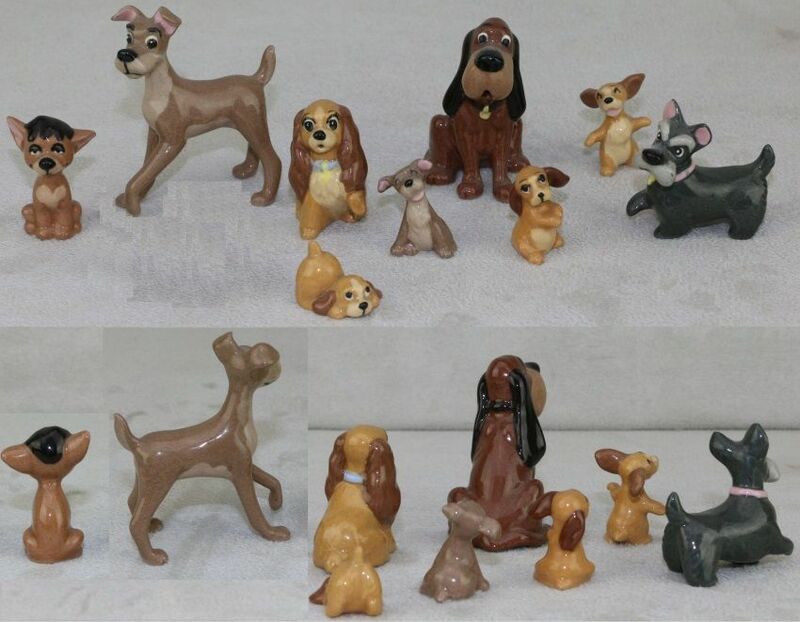 The Hagen-Renaker “Disney” pieces were both miniatures, i.e., 1” to 2”, or a larger series, 3” to 6” in size. Today all pieces are prized by collectors of Disney and command prices several hundreds of dollars over their original cost. The Disney experience carried over in the evolution of the Hagen-Renaker line. 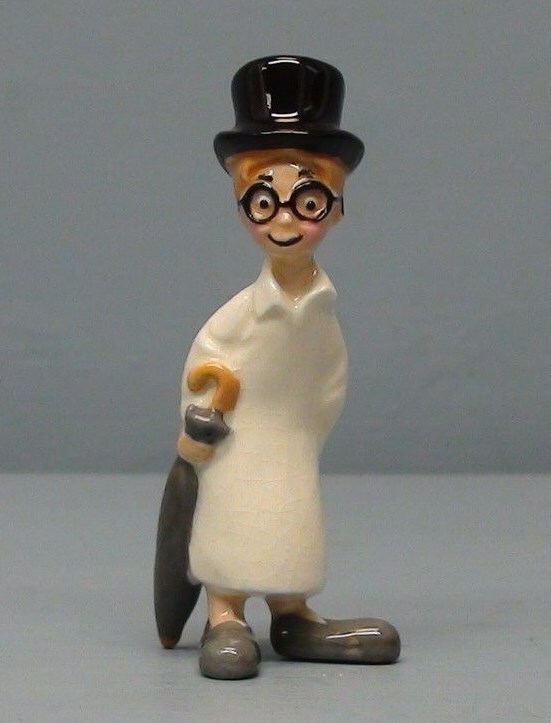 Many new miniatures, expressing the whimsical nature of animated cartoons such as Disney’s, began to find their way into the line. Circus sets, bug bands, and animals dancing, just to name a few. And if look closely at the line today, you’ll notice a marked resemblance to “Thumper” in Brother Rabbit, and both of their small deer, lying or standing, definitely remind you of “Bambi”. Care has been taken, however, not to violate any licensing of copyright with any of the Hagen-Renaker line, but once you like something it’s hard to completely erase it from your creative vision.